Believe it or not, there’s more than one way to get divorced. No two relationships are the same. As such, a divorce process that worked well for a family member or friend might not suit you. Fortunately, there are a variety of divorce options. Read below to discover the solution that is best for you and your family. In this case, the name says it all: the couple sits down together (at a kitchen table, most likely) and develops a divorce agreement that is acceptable to both individuals. The arrangement can be put into legal form by a lawyer, or completed by filing do-it-yourself forms. If you don’t have children or a lot of assets, this method of divorce can be quick, private, and inexpensive. You don’t have the guidance of a family law professional. You may be giving up legal rights without your knowledge, making mistakes that could be costly in the future, or not getting all your needs met. There are no “checks and balances” to make sure both parties are honest and forthright. There are numerous books, forms, and kits available to help couples settle a divorce on their own. Filing forms are available online and at local law libraries. 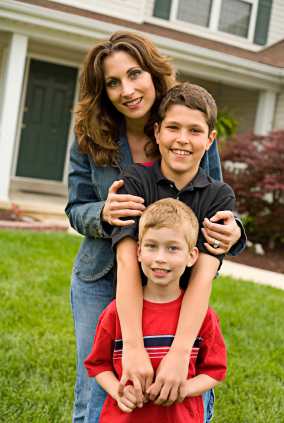 These resources usually provide a check-list to address issues like custody and property. Unlike kitchen table settlements, you’re not completely in the dark: forms usually provide checklists so you can address issues like child custody and property. Again, this is a good approach for couples without children or a lot of assets. The depth and quality of information you receive varies depending on the forms and information you get. If you do have children or substantial assets, the forms might not be detailed enough to meet your needs. Without access to a family law professional, you might not be aware of your rights, make costly mistakes, and one or both parties might not get their needs met. Put simply, mediation is settlement negotiation with a neutral, third-party assistant. The mediator cannot take sides, offer legal advice, or act as a lawyer to either individual. The goal of mediation is to help you work through your issues so you can get through the divorce. Mediating couples are generally happier with the divorce process, the divorce takes less time and money, and couples are less likely to go back to court after a settlement. A mediator cannot give legal advice. To protect your rights, retaining a lawyer is still recommended. In addition, mediation usually take place as part of the litigation process, just prior to going to court. Collaborative law is the process of handling divorce respectfully and creatively―without stepping foot in a courtroom. In collaborative practice, couples, respective attorneys, and other professionals (child and financial specialists, divorce coaches, etc.) agree to work together to resolve issues and develop an agreement without court hearings. Collaborative law is more cost effective than typical litigation, you maintain control, you avoid an ugly court battle, and you still have the advice and guidance of a family law attorney. When you choose the collaborative approach, you’re choosing a non-adversarial way of getting divorced. You could end up in court if you decide to opt out of the process. In litigation, you’ll have many court hearings in which decisions for the individuals are made by a judge. Information is presented by each side, and a judge makes a settlement based on the materials presented. If there’s one “bad apple,” or there’s no other way to settle your differences, litigation might be the only solution. The court is the only way to force reluctant parties to cooperate. Litigation is expensive and has an adversarial approach. The process assesses blame (one party is “right” while the other is “wrong”), and can cause irreparable relationship damage.